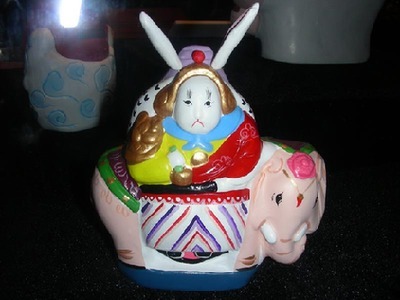 A unique artwork that depicts a cute rabbit in a powerful pose, Lord Rabbit figurine is considered an amazing symbol of Beijing local culture. Once used for worship on the Mid-Autumn Day, later becoming a children's toy, it is now mostly used as a type of decoration. With many stories surrounding the origin, such figurines are famous for their classic looks and spectacular designs. In the local shops of Beijing, they are one of the most popular products. Often appearing in a warrior’s armor, with banners on its back, and riding on a ferocious animal, Lord Rabbit almost always has a calm, serious expression that makes an interesting contrast to its long, funny-looking ears. 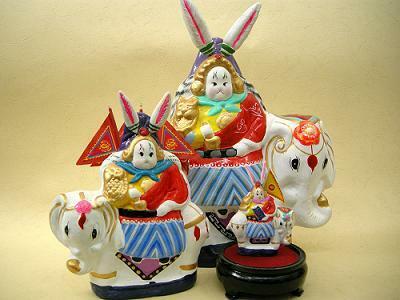 There are also many designs that depict Lord Rabbit as a Beijinger with a special profession. In Beijing’s local culture, Lord Rabbit is a symbol of happiness and good luck. Even though it was born out of an ancient Chinese tradition of worshiping Jade Rabbit on Mid-Autumn Festival, it has a unique Beijing feel that has no equivalent in any other place in China. It is generally believed Lord Rabbit first appeared in the late Ming dynasty. According to historical account, Beijingers from that period had a tradition of making clay rabbits for worship. 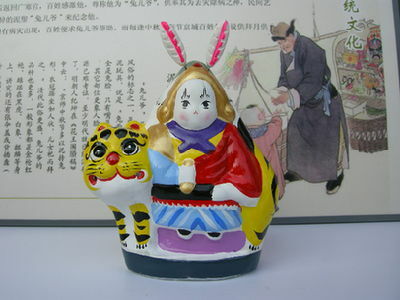 During the Qing dynasty, Lord Rabbit was used not only as a shrine, but a toy for children. Nowadays, in the hands of the modern artists, Lord Rabbit can adopt any shape and be decorated with any design.